Biologique Recherche’s unique speciality has always been and will always be personalisation. This is the key and the absolute heart of our ethos, our way of understanding skin, and our way of treating it. 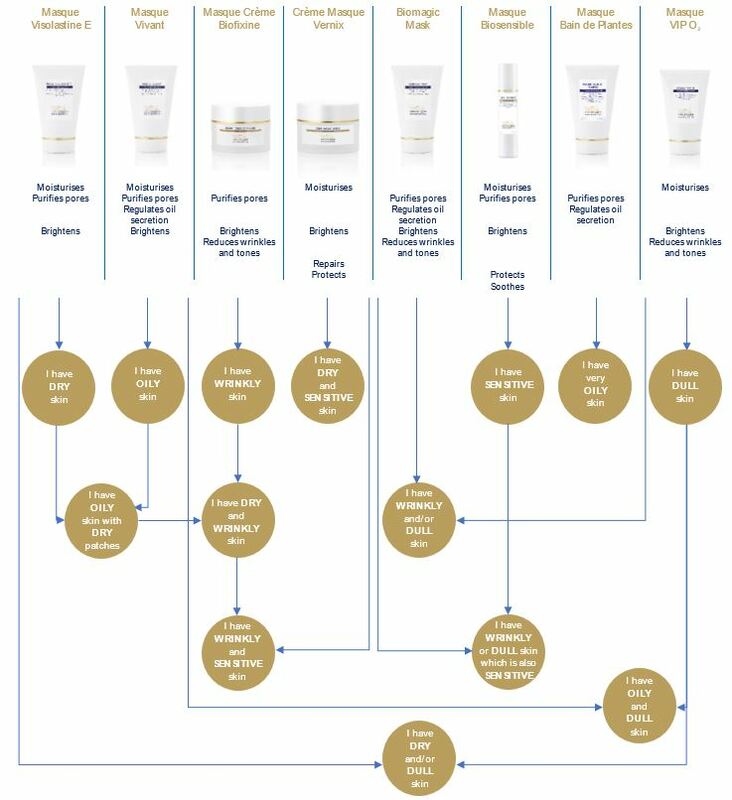 There is no set-up skincare programme based on your skin type and we do not have ‘ranges’ per se. The only strict structure that we have is our methodology; we advise that you at least utilise one product from each of the following categories in that order to achieve the best results. All products within each category will be recommended to you following a skin consultation. Start a consultation now. Today, we are talking about Masks. How to mix and match them and how to apply them. The summer is finally here, and I’m sure we have all been itching to wear lighter clothes and feel the warming sun on our skin. But we also have to prepare our skin, and that means different things for different people. Do you get oily when it’s hot? Or do you feel like the sun is drying your skin out? Or do you feel like you need to shed that winter skin and brighten it up a little? Or does the sun sensitise your skin and make it go red? We are all affected differently by the same thing, and our products understand you. You may want to hydrate and brighten your skin at the same time, therefore mix the brightening product and the hydrating product together and apply. Or different areas of your skin have different needs – you may want to hydrate certain parts of your skin and brighten others – so apply a specific mask to each of the targeted areas. The options are limitless, so follow this easy guide to a better skin just for you!